In my first installment about Homework, I referenced Karl Taro Greenfeld in “My Daughter’s Homework is Killing Me” regarding his 7 day experience doing the same homework as his daughter received at school. His article strongly showed how homework can turn a student’s school day into a 10+ hour work day, or 56+ hour work week, including weekends. The National PTA recommends that his 8th grader should have a total of 80 minutes of work per school day, instead of the 3+ hours she currently has. However any of us believe about what a daily homework load should be, there is another element of homework that is perhaps the core to determining the value of homework: Quality of Purpose. What purpose does homework serve? Karl hints at this when he talks to the teachers about the workload, and with varying success, gets a reduction by some. But what if the homework is not all necessary? Or, what if the assignment is too complex for a student’s readiness on that night? There have been several studies about homework that find that good value can come from the effort. Some of this research is explained for easy understanding in the classic book, Classroom Strategies that Work. It’s further addressed in an Ed Leadership article on ASCD: “The Case for and Against Homework” by Robert J. Marzano and Debra J. Pickering. As with the book, the article offers the significant impact that homework can have on learning–when it is purposeful, time appropriate, and practice for feedback. 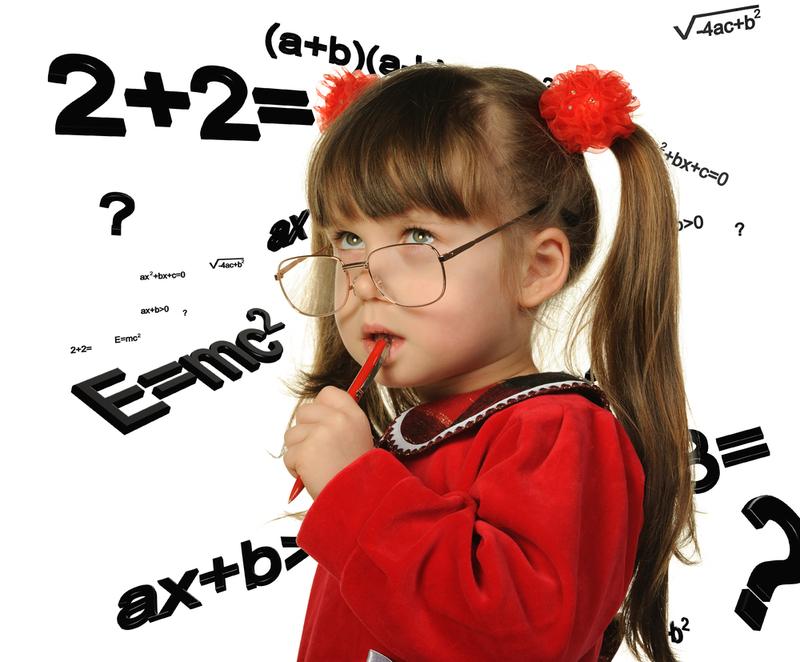 Depending on the study, the percentile gains of homework on learning ranges from 8% to 28%. Formative assessment data is collected by teacher to determine understanding by all students. Support instruction is used to support students who struggle and those who demonstrate quick mastery. Homework is assigned, sometimes differentiated based on steps 3 and 4. Students use homework to practice the skills and concepts. Build their understanding. On the next day, teacher and students review the homework as a formative assessment to gage how much more support and practice students need before progressing to the next concept. You get the picture. While some few can perform at a high level after one session, most of us mortals need opportunities to explore through practice. Homework is that opportunity to practice, and steps 3 and 4 help ensure that the work is targeted and customized (differentiated) based on the student’s skill level. When some teachers say that there is no time to do steps 3 and 4, homework becomes a game of Roulette—no one knows where the ball will land, more off the mark than on. The irony is that the time spent checking for understanding during the lesson saves time later because students are assigned work that they fits their needs. Otherwise, students may be given work that is too complex to their current skill level, and they become confused and lose confidence. This results in a wider gap of understanding that leads to more instructional time needed to “catch up” students with the curricular pace. What purpose should homework serve? Another aspect of homework that happens is its role as practice or assessment. While homework can serve both purposes, the primary role is typically practice. Students need opportunities to “tryout” the skills taught in class to see what they understand and what—at first—they “knew” and realize they did not know. At the next class session, a review of the work gives teachers formative feedback as to what needs remain to provide additional support. When looking at the effect size implications shared earlier, practice followed by feedback can have a significant and positive impact because students have a safe environment to explore and take risks in grappling with the task. Some of my children’s best learning experiences have come from teachers who understand the emphasis and power of practice. Students develop confidence to take risks and explore. They learn perseverance when the teacher, after reviewing the work, expects the students to address the errors either individually or in collaborative groups. These experiences prepare students to do better on the graded assessments. Sometimes this “practice” message gets muddied when homework is graded for correct answers, before students have the chance to check their understanding and get scaffold support from the teacher. Testing should only occur when students are expected to have had substantive support to be able to demonstrate understanding of the concepts or skills, not when they’ve just been introduced on the same day. One of my kids intuitively understands the writing craft quickly and easily. Math is not so easily picked up. My wife and I give lots of support at home as best we understand the concepts. Once, when we encouraged our child to circle the practice problems that were the biggest struggle so as to ask the teacher for guidance. The problems were not done at home because no one understood them well enough to offer support. The homework was scored for accuracy. The problems left blank to get support were marked incorrect and awarded a zero. Message: homework is a quiz of what students pick up from that day’s lesson, and should result in 100% correct answers. To be transparent, I do not believe in scoring homework. Feedback is all that’s needed. For those who argue that points need to be assigned else students will not do the work, my grudging suggestion is assign points for completion, which could be part of an assessment of perseverance or grit. This could encourage students to do all the work, and get the needed practice, but not penalized them for not having all the correct answers. Why would they if the concepts were just recently introduced? Ask any group of educators about how many believe that students learn at different rates and paces. The answer I get from groups is an emphatic “Yes.” Not one person has ever said that all students learn at the same rate and pace. Given this common belief, how can we fairly grade students for initial work on skills and concepts? The result creates grade fog where what student’s real knowledge is obscured by grading that does not match the expected outcome. For example, one of my kids was earning a C in English. Homework scores were very low due to accuracy of the answers—all work was fully completed. On the test based on the content that included the homework, my child scored an 86%. Which is the stronger indicator of understanding—the homework assignments or the summative assessment covering the content spanning all of the homework assignments? A good formative learning activity is to allow students revise their homework after reviewing the concept and/or skill that they struggle with. This gives them a chance to show what they really understand. I remember my high school Algebra class. My teacher would give us homework and grade it the next day for accuracy. When he reviewed the homework with us, I understood my errors and could complete similar work with 100% accuracy. Unfortunately I had no opportunity to show that I “got it” because the teacher moved on to the next concept. Such practice is a disservice to getting accurate data on where our students are at with their skills. For those who are very concerned about standardized test results, data accuracy is important for predicting pass rates and what students still need. For students, an accurate message is critical to building and maintaining their confidence in the subject for tackling future work. For teachers who understand the logic of homework as practice of the day’s instruction, or review for an upcoming assessment, the change in process is easy to do, and is a powerful message to supporting a positive learning culture. Purposeful homework helps students grapple with the learning targets. As a practice session, teachers can determine the workload amount that is narrowly focused and requires the minimal time outside of class so as to stay under the recommended time frame of nightly workload. For parents who understand the logic of homework, the conversation with teachers becomes clearer, although not always easier. Inquire about the purpose of the homework helps gauge if the workload is appropriate. Teachers may not always agree with your argument but at least they will be able to give a clearer message. If homework is graded for accuracy, this is a more serious problem. Unfortunately, as I noted before, such a practice is an accepted option at some schools, and is viewed as a teacher’s pedagogical philosophy. You may not be able to convince them of the obvious error of this approach, and should not use up valuable time and relationship capital. Instead, focus on the supports that the teacher has in place or should put in place to give your child the differentiated help so as the learning happens. At the end of the day, everyone wants the students to succeed. Striking a good balance with homework purpose and workload can lead to a positive learner experience.